Had a great 15-year catch-up with radio legend Charles Adler, discussing, naturally, Tragically Hip, Twisted and the monarchy. 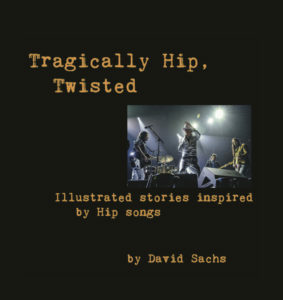 “Tragically Hip, Twisted: Illustrated stories inspired by Hip songs” is a collection of nine fictional ‘covers’ of classic Hip songs from author David Sachs. 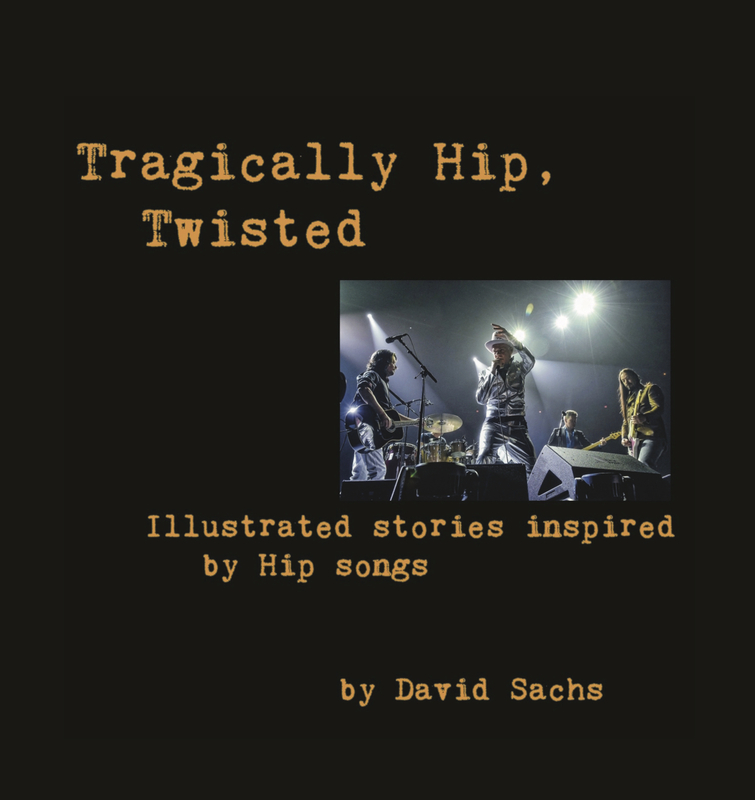 The stories were written as a hobby over a fifteen year period, and published as a collection along with pictures of the band and Canadiana as a tribute to the band after their final tour. 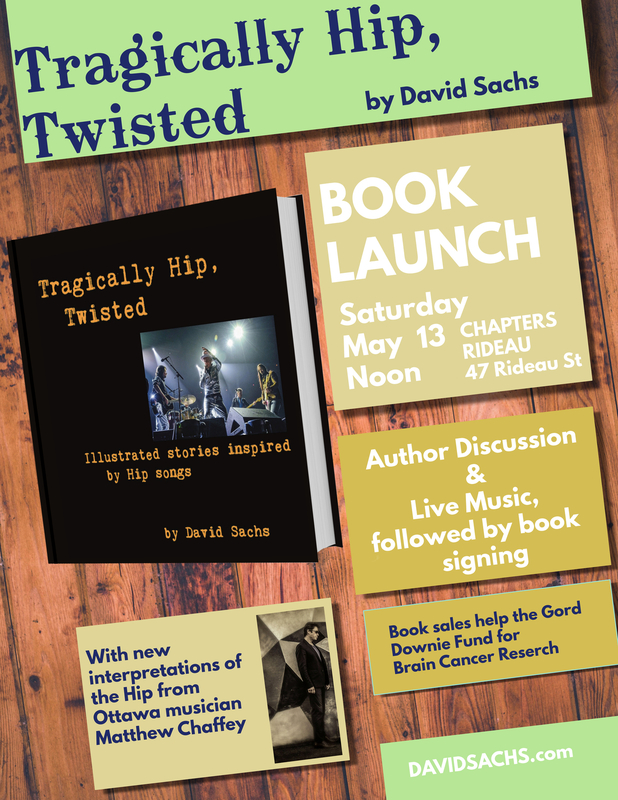 Sales from the book help the Gord Downie Fund for Brain Cancer Research. 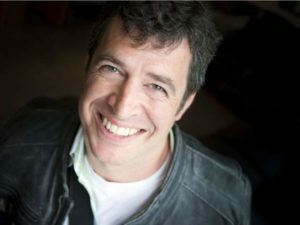 David is a Chelsea, QC resident, and author of the bestselling thriller, The Flood. He is an award-winning non-fiction writer, and is active with social service, international aid, and political organizations. 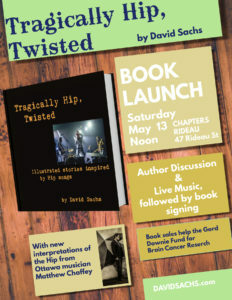 Ottawa native Matthew Chaffey will be performing his own Hip interpretations for the event. Matthew fronts neo soul group the Split and has a large presence in the local music scene. Along with his own group, he performs with a number of other acts and is deeply involved with music education through a number of charities throughout the city. 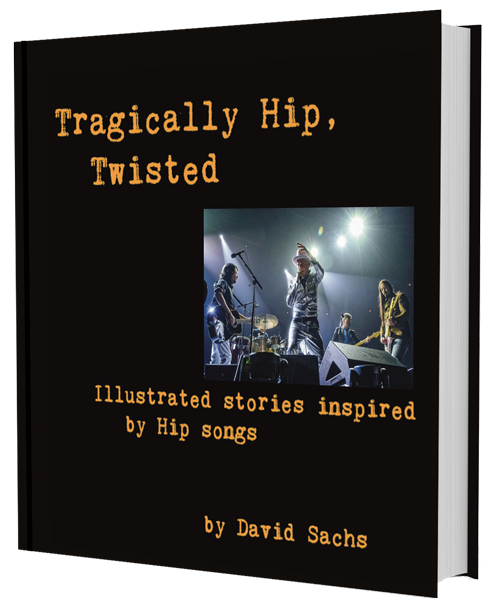 I am very proud to announce that Chapters-Indigo bookstores across Canada have launched Tragically Hip, Twisted. Outside Ontario, it may not be available in every store – just ask, and the store can order for you. 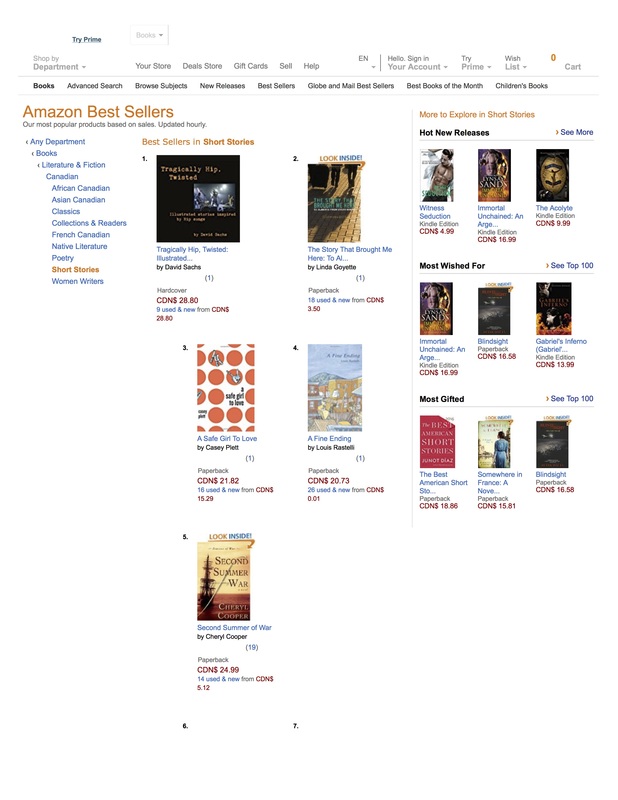 It is extremely rare for a self-published book to get picked up by Canada’s pre-eminent book chain. I hope we’ll reach some more readers and raise more funds for the Gord Downie Fund for Brain Cancer Research. An exciting week, this, and its only Tuesday. 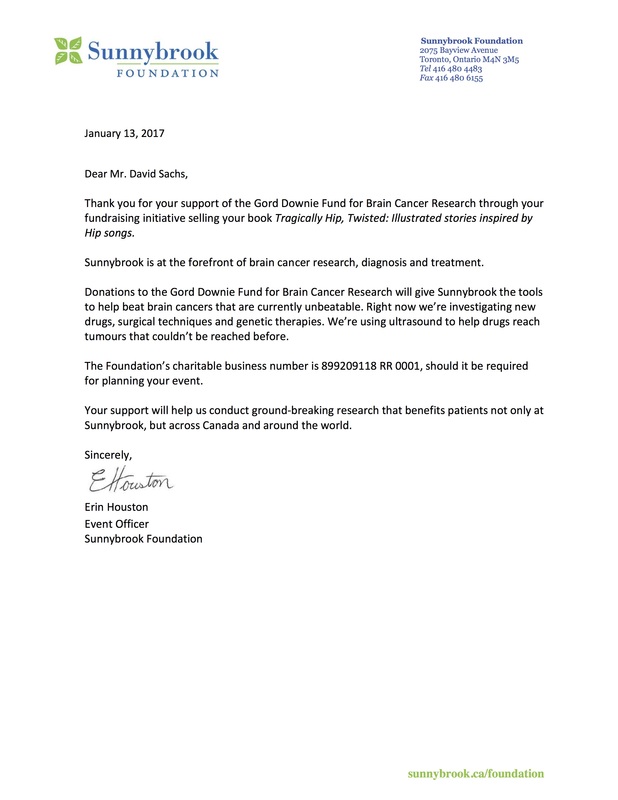 Monday, I connected with the Sunnybrook Foundation to begin a donor-relationship with funds from the sale of Tragically Hip, Twisted, going specifically to the Gord Downie Fund for Brain Cancer Research. 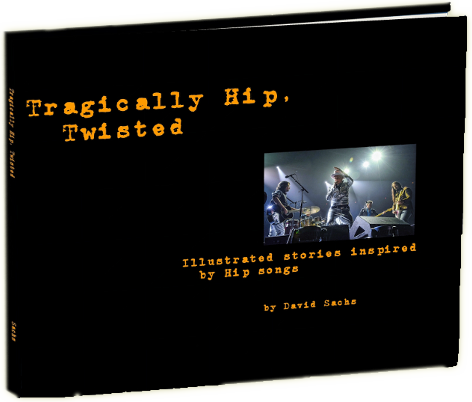 The whole idea behind putting the book together was as a tribute to the Hip; to be able to fundraise through the book in this way seems to fit together with that. Aside from these donations being in honour of the band, cancer has been a major actor in my life and my family’s story. I imagine a lot of people would say that, but I feel it acutely. I lost my mother to cancer when I was a child. My father, as a lung surgeon, spent his career fighting cancer, and my brothers and I had the opportunity create a visiting professorship at the Ottawa Hospital in his name, to bring cutting edge research in the field to my father’s old department. In addition, one of my brothers is a neurosurgeon, continuing the idea of cancer as a personal family adversary. 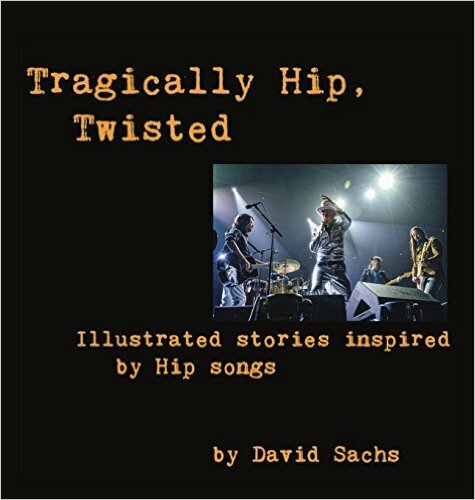 On a lighter note, today, Tragically Hip, Twisted became Amazon’s #1 bestselling Canadian short story collection. 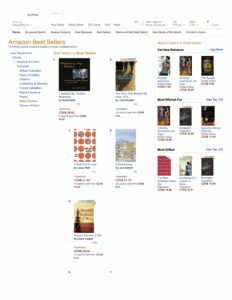 Anytime you can lead a list containing Margaret Atwood, Alice Munro, David Bezmogis and Lucy Maud Montgomery, you’ll take it. 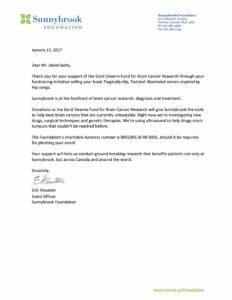 (Bestseller-page image below the Sunnybrook letter). 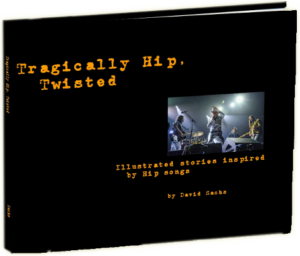 My newest project, Tragically Hip, Twisted, the illustrated collection of short stories inspired by Tragically Hip songs, has gotten some nice pre-release attention. Much thanks to CTV Ottawa and Lianne Lang, and Ben Bulmer and the legendary LowDown newspaper! The book will be a fundraiser for cancer research. Here is my interview on CTV Ottawa Morning Live. Over a decade ago I began a hobby that I’ve still not given up, though I get to play at it seldom. 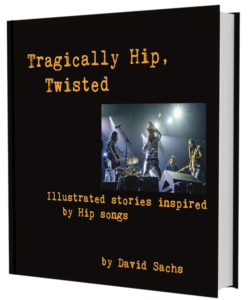 I write short stories based on Tragically Hip songs. Not the songs that tell a story – because they already tell a story. But the songs that don’t quite, on their own. I’ve always found the Hip’s music expressionistic and evocative. Their music put stories in my mind, even when the lyrics don’t tell one directly. They tell story snippets. The listener can piece together a multiplicity of possible stories from them.